How many errands do you have on your “things-to-do” list today? Personally, I always seem to create a list that is far too long to complete! Experience has taught me that there is never enough time to complete everything that I want to get done. I have also learned that there is always enough time to complete all that God wants me to get done. And one of the highest priorities on God’s to-do list for me and every one of His children is prayer – the most important endless task for the Christian. Listen to what God wants us to do each day . . . These are just a few examples of the eternal errands that God would have us run each and every day. The Bible makes it clear that one of the marks of the people of God is to be a posture of prayer. It’s truly unimaginable to think that the Creator of the universe invites us – commands us – to seek Him always through the throne of grace. How many reasons can you find this day to go before your God in prayer? I’m sure that with even a little thought your list would become too long to count. And that is why we are to be in constant communion with Christ! And know this: God does not care about the grammar of your prayers! God is not looking for flowing eloquence or grandiose rhetoric or theological exactitude. God does not demand some complicated metaphysical formula for approaching the throne of grace. Because He is “Abba” Father, He simply wants us to come to Him, whether we are praying in words, groanings, cries, or tears. So . . . have you run any eternal errands today? Will you be running some later? Those people who say they don’t have time to pray really don’t have time not to pray! As a father of four, I love when my children come to me and make their requests. Why would I not? I am their father. So it is with our heavenly Father. He takes pleasure in – He delights in – the prayers of His children. Jesus invites us, “Come to Me, all you who are weary and burdened, and I will give you rest” (Matthew 11:28). If we don’t get anything else done today, let’s not skip prayer – for it is the most important, the most powerful, the most productive thing we will do all day! When was the last time you let your history mess with your destiny? I can tell you when it was for me. It was when I was wasting valuable time trying to rewrite it! Our history is what it is – history – and spending time bemoaning it or trying to rewrite it is wasted time that distracts from the destiny God is calling you to. The most common way we let our history mess with our destiny is when we get bogged down in blaming others. We blame others for our failures. We blame others for our current station in life. We blame others for our lack of meaning and purpose in life. Blame-shifting is simply the blank page upon which we attempt to re-write our history and justify in our minds why we are not moving in the direction God would have us go. There is a solution to overcoming the problem of history messing with destiny. The Gospel! For those who understand the truths of the Gospel, history can never mess with destiny. Paul tells us that there is NO CONDEMNATION for those who are in Jesus. We don’t have to waste time grieving over our past. We don’t need to shame or blame people in our past. There’s no need to rewrite our histories. We never again need to sink into blaming others to help us deal with our current circumstances in life. Jesus has set us free from our past, no matter what was in it. We need not fear our past. We need not deny our past. We need not blame others for our past. We need not be chained to our past. We need to simply embrace the truths of the Gospel, which assure us that we have been set free from our past and from the desire to recreate it or whitewash it in order to make ourselves look better or feel better about it. God is for you. He has not only wiped the slate of your past clean; He has broken it and promised to never use it again. He has hurled that slate into the depths of the sea. Every time we attempt to rewrite our history in order to make ourselves look or feel better, we are denying the power the Gospel. We are forgetting, just as Peter warned we might, that we have been cleansed from our past sins (2 Peter 1:9). We are ignoring Jesus’ victory cry from the cross (John 19:30) that all that history is finished! The Gospel is not only the power of salvation; it is the power of sanctification that increases our reflection of Christ. It is the power that propels us past whatever history we have, knowing that we are completely forgiven and unconditionally loved. These Gospel truths free us from living in the past so that we can lean toward our future. Physiologists tell us that breakfast is the most important meal of the day. The longest period of time we go without food and drink is when we sleep at night. So when we rise in the morning, we are to break the fast with a good, healthy breakfast to get us ready for the challenges of the day that await us. Make no mistake; what we eat early in the morning will greatly impact the rhythms of the rest of our day. Yet as important as this meal is for the body, what we put into our minds and hearts as we begin each day is even more important. With all of the voices that are trying to get our attention – and far too many trying to knock us off course – we absolutely need to break the fast every morning by spending time alone with God and His Word. Only God’s steadfast love can meet us in the place of our deepest need and satisfy our deepest longings of the soul. You see, God designed it that way. We are made by God for God, we are never to find our satisfaction in anything other than God. Life was never intended to be lived apart from God. It is only in Him that we live, move, and have our being. Nothing other than God will give us the significance, meaning, and purpose that come from living life in His power and His provisions. It is always a better day when we start it alone with God. Some say they simply don’t have the time. To that I reply, “You don’t have the time not to!” The Bible is God’s greatest spiritual antioxidant! Only the daily reminders of Gospel truths can get us through the day with the freedom and joy Jesus has promised. Only God’s steadfast love will dismantle the idols we worship. Only God’s steadfast love can dislodge the affections of the heart that turn us from Jesus. And that is why we simply cannot afford to go charging off into the day without our morning meal with our Master, feasting on the promises of God’s Word. Physical food is good. Spiritual food is better. Both together are the best way to start each day and break the fast. Every Book Is Dead . . . But One! Have you ever read a Scripture verse for the umpteenth time and suddenly gained a whole new insight or understood something you never understood about it before? This is a common experience for every student of sacred Scripture. Why? Because Scripture is living, just like its Author. The Bible is so much more than ink on a page; it is divinely inspired and through the new life in Christ the Holy Spirit gives us eyes to see, ears to hear, and hearts to receive. The Word of God is also penetrating, getting under our skin to address the deepest issues of the heart. God’s Word has the power to enter the deepest recesses of a person’s being and do its divine work. So penetrating is the Word of God that it passes the level of information, diving deeper to the level of transformation. Those exposed to the Word of God are never left in the same condition, because the One who wrote is at work through it. Jesus Christ, God’s Word clothed in human flesh, provides powerful testimony to the power of the Word . . .
To be sure, we do have a malevolent enemy in the devil, and he prowls around to destroy and devour. But he prowls only on the end of the Lord’s leash! Satan is subject to God and under His complete authority at all times. Here’s a great Gospel truth – The devil does nothing apart from the sovereignty of God. Yes, the devil is the god of this world (2 Corinthians 4:4; 1 John 5:19), but God is the God of all worlds, and the adversary’s power to prowl is only the power that God gives him in order to fulfill the perfect purposes of God. When the devil was afflicting Job, as difficult as that biblical narrative is to fully understand, he did only what God allowed . . . and no more! God is omnipotent, omniscient, and omnipresent; Satan is not. He is a creature like you and me – granted, an immensely powerful and formidable creature, but a dependent creature nonetheless. Knowing this infinite difference is the key to understanding the truth that the devil is a lion on a leash. When will the devil flee from your presence? Not just when you are resisting him, but when you have first submitted yourself to God. You see, Satan’s power must always be viewed in the context of God’s sovereignty, which should lead us to submission before our Savior each and every day. God is not only with us, He is for us. In fact, God is so much for us that He turned against His only Son. You see, you and I were Christ’s Judas kiss. We were the nails in His wrists. We were His crown of thorns. We were His cross. We were His death. God sent His Son to die in our place that we might have eternal life in Him. Christian teachers often use the language of the athletic world to bring the truths of the Gospel to life. So under the title of Being On God’s Team we will briefly look at two important aspects of the biblical teaching of being on God’s Team! Grace brings us not only salvation but supplies us with all we need to live out that salvation. Notice what this verse tells us about that wonderful gospel truth . . .
Every member of God’s Team is gifted. When God picks a player to be on His team, He equips that person with the ability to play in the game. The Bible teaches that when God saves you He also endows with the ability to do what He has called you to do in the service of others as a faithful steward of God’s grace to you. Peter gave the reason for this service: “So that in all things God may be praised through Jesus Christ.” So . . . how is God being praised through the use of your gifts for the good of others and the glory of God? When you are a part of God’s Team, you are also equipped to play your part to further the cause of His kingdom. Every member of God’s team is to go from being a spectator to a servant . . . to change from being a consumer to a contributor. IF YOU STAY LOCKED UP IN YOUR PAST! Just a cursory glance through the Bible will show that most of those who did the most for God’s kingdom had checkered pasts. Abraham lied about Sarah being his wife to save his own skin. Moses was a murderer; so was David. And who can forget that the great apostle Paul held the coats of those who stoned Stephen, the first Christian martyr, to death. Acts 8:1 records that Paul looked on with approval! Here is a great little story that makes it clear that everyone is both valuable and needed on God’s Team . . . Sister Rule then complained against Brother Sandpaper, “You ought to leave too because you’re so rough and always rubbing people the wrong way.” In the midst of this discussion, in walked the Carpenter of Nazareth ready to start His day’s work. Hits the nail on the head, doesn’t it? I have a very important question to ask you – How many extra Christians did God make? Silly question, isn’t it? The answer, of course, is none; that means you are both endowed and equipped to do what God has called you to do as a vital and valuable member of God’s Team! John Newton sure found the key to life! He knew what he was and he knew what God in Christ had done for him. He knew he was a great sinner, by nature and by habit, and he understood that only a great Savior could redeem him from his wretched, wicked ways. Newton found that redemption in the Lord Jesus Christ. The Bible makes it clear that we are all in the same desperate straits as John Newton. Folks, without Jesus, the ship is sinking! There is no exception: “all have sinned and fall short of the glory of God” (Romans 3:23). 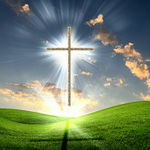 There is no one who is righteous by virtue of his or her own good deeds, no not one of us (Romans 3:10). And because of these immutable truths, we need something outside of us to change what is going on inside of us. We need a Savior to take away our sin! You might be familiar with the phrase, “Clothes make the man.” Many attribute the saying to Mark Twain, who, in addition to his writing, was known for his trademark white suits. But Mr. Twain was not the first to identify the natural human tendency to judge a book by its cover. During the Middle Ages, Erasmus, a Catholic priest and theologian said the very same thing. Erasmus was quoting Quintilian, who in turn was quoting Homer’s Odyssey. So . . . what is the most valuable outfit in your closet? Is it some new article of clothing? Perhaps something that has been handed down to you? Today I’d like to share a word of encouragement about the eternal truth that clothes really do make the Christian. Listen to what the Bible says about it . . . The world tells us something quite different, doesn’t it? Armani, Chanel, Calvin Klein, Christian Dior, Louis Vuitton, Fendi, Gucci, Yves Saint Laurent, Valentino, Prada, and countless other brands shower us with messages that clothes define the man or woman. But this is not what God wants you to focus on! God’s Word tells us that our identity is in Christ alone. The clothes this world offers us are quite costly; they are available only to those who have enough money to buy them. The clothes that make the Christian are priceless . . . and yet they are available to anyone and everyone who trusts in Christ alone for salvation. Satan hoped to hurl his fiery accusations at Joshua and which would disqualify him from serving as God’s high priest. But God rebuked Satan, because it was God who chose Joshua, in spite of his lack of qualifications. God removed Joshua’s filthy clothes and gave him rich garments, qualifying him to be His servant. The same is true for you and me and every other child of God. Our sin clings to us just like filthy clothes. Do you remember the “Pig Pen” character from the Peanuts cartoons, who walked around with a cloud of dirt surrounding him? You and I are just like that! Scripture tells us that we are so far removed from the righteousness of God that even our righteous acts, by comparison, are filthy rags (Isaiah 64:6). By nature, none of us is qualified to come into God’s presence, let alone serve Him! But through faith God comes to us in Christ, removes the foul, filthy, sinful rags of our sin and clothes us in the spotless righteousness of Christ. And now, clothed in this rich robe, we are invited to “approach the throne of grace with confidence, so that we may receive mercy and find grace to help us in our time of need” (Hebrews 4:16). Rejoice in that thought, Christian believer! And now, wrapped in this incomparably rich garment, we are to go out and tell others of this glorious exchange that is freely offered to them. We are to be the fragrance and the aroma of Christ to a lost and dying world (2 Corinthians 2:14-15). We are, as Colossians 3:12 commands, to model the compassion, kindness, humility, gentleness, and patience of Christ to everyone we meet. So, Christian, let me ask you: What would those around you say about the clothes you’ve been wearing lately? Do they make God attractive? Do they speak of His amazing grace? We must remember that for many people in this world, we will be the only Bible they ever read. May the clothes we wear encourage them to want to read more! When was the last time you overlooked an offense? You know, when someone said something that got under your skin . . . when someone did something that really ticked you off. Perhaps it was the time someone changed their plans without telling you and that disrupted your plans. Or when someone put together a special invitation list that included everyone and his uncle – except you! We’ve all been offended. And we have all offended others. Today I want to tell you about the Gospel power that helps us overlook offenses, regardless of the cost. Listen to God’s Word on this issue . . . It is so much easier to go on the offensive when we are offended! We build our case, review the record of wrongs, and plan our counterattack. But Scripture tells us there is another way that will yield better results, fruit that will last: that fruit is overlooking offenses. To be sure, there are some offenses that demand our attention and our appropriate response. But I think we would all confess before the Lord that we are far too thin-skinned and ready to get back at those who have offended us, often in the most trifling matters. Because it is not in our DNA to overlook offenses, we need to rest more securely in the truths of the Gospel. The Gospel frees us to overlook when we are offended and slighted. We can overlook the thoughtless mistake. We can overlook the quick quip. We can overlook the snide remark. We can overlook the rude comment. We can overlook the insidious insult. The Gospel not only empowers us to overlook offenses, it empowers us to stop trying to vindicate ourselves to the offender or the onlookers. In the eyes of the only One who truly matters, we are already vindicated by His blood poured out on Calvary’s Hill. Jesus endured every imaginable offense to make us His. He endured the offense of unbelief. He endured the offense of betrayal. He endured the offense of false accusations. He endured the offense of denial. He endured the offense of ridicule, gossip, and slander. He endured every offense, including cruel scourging, tearing thorns, and crushing nails. And at the end, He said, “Father, forgive them, for they know not what they do.” So the Gospel is ready to help us endure and overlook offenses, and it will do it by power and presence within us! One final point! It is in our DNA to want to get back at those who have offended us. “Vengeance is mine!” says the one who was offended. But the glorious Gospel frees us from our incessant need to want to get even. Here is where the grace of forgiveness kicks in and allows us to pay down the debt of an offense rather than demanding that the offender pay it. Only the Gospel can help us manage our emotions, actions, and words to respond to an offense in a way that glorifies God and brings good to others. Remember, overlooking offenses is a decision; and it is a decision we must make every time we are offended. A Miniscule, Or Mighty, Mission? The world is full of people who are scrambling to fulfill a miniscule mission as they race through life toward the finish line. A miniscule mission is a one where self is on the throne and you live within the narrow borders of your own little life. It is that place where your heart beats for you and only you. It is a life marked by self-satisfaction, self-survival, self-importance, and schedules filled with self-satisfying pursuits. We expect this kind of tunnel vision from those who do not know Christ; tragically, many in the church who proclaim His name are also embarked on miniscule missions. They are more concerned about advancing the cause of their own little kingdom than expanding God’s BIG kingdom. So . . . how is it with you? Are you on a miniscule mission? Or are you pouring yourself out to advance the cause of the kingdom of Christ? Did you know that the Bible never tells us to simply seek the kingdom of God? It tells us to seek it first! We are not to pursue the advancement of God’s kingdom after we pursue the advancement of our own kingdom. We are not to pursue it even at the same time. We are to pursue God’s kingdom first! The advancement of God’s kingdom is to take first place in our lives. Of course we are to love our families, deepen our friendships, work hard at our jobs, save for the future, and serve in our communities. But we are never to make these – or any other worldly pursuits – the ultimate priority in life. When anyone or anything other than Jesus sits on the throne of our lives, we miss the One Thing that matters most. When we make anything other than God our first priority in life, we embark on a miniscule mission that will eventually lead us to a place of dissatisfaction, disappointment, and ultimately despair. When Adam and Eve exchanged their pursuit of the kingdom of God for the pursuit of their own little kingdom, desiring what looked good and felt good, their miniscule mission plunged all of God’s created order into ruin. Our first parents literally denied their own humanity! They were created for the pursuit of God and His kingdom, not their own. We all know how that mission worked out for them: hiding in the brush, shivering with fear, blaming everyone but themselves for their catastrophic fall. But . . . thanks be to God for His indescribable gift! He refused to leave Adam and Eve within the constricted borders of their sin-filled lives. God pursued two rebels on the run and promised to send a Savior who would save them from their sins and the misery of pursuing a miniscule mission. And God has done the same for every child born of grace. God’s grace has broken the chains of our self-imposed imprisonment that pursues the advancement of our own personal kingdoms. His grace has rescued us from living a miserable life of advancing our mediocre, miniscule mission; His grace has awakened us to live a life that truly matters. Sure, His grace empowers us to love and serve at home, at work, and in our communities, but His grace empowers us to do so much more! In His most gracious act after salvation, God gave us a desire to live for Him rather than for ourselves. At this level of living, life becomes a journey of unimaginable joy, because we are living for what – or more accurately, Who – we were designed to live for in the first place: God!